The torpedoing of the LEINSTER is well known as the worst loss of life in the Irish Sea during the Great War. The 100th anniversary is being commemorated today by Holyhead Maritime Museum with a special event to be attended by descendants of the crew and passengers. Less well known is the contribution the LEINSTER made to another sinking months earlier, in which she saved the crewman from the SS MEXICO CITY. 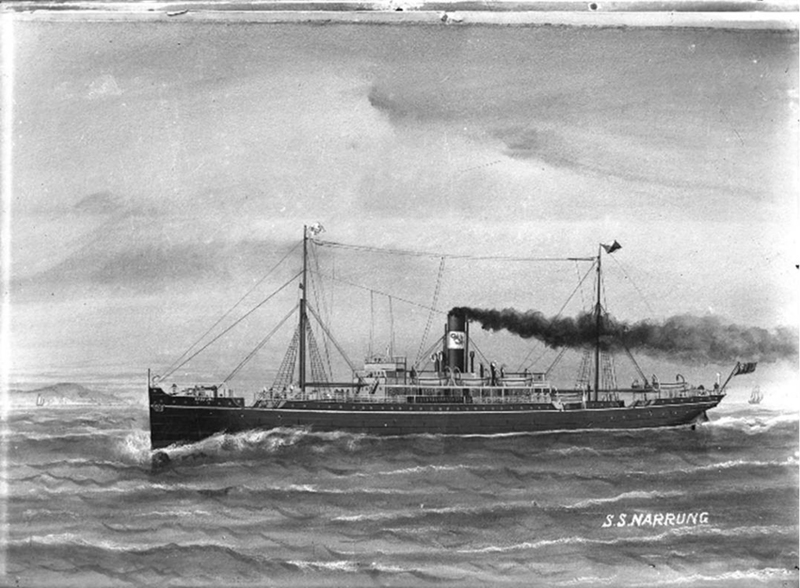 Built by the Sunderland Shipbuilding Company in 1896, the MEXICO CITY was originally named the SS NARRUNG. She was built for colonial trade and fitted with the latest electric lighting, and comfortable enough to be remarked upon as such in Newcastle’s newspapers. Sadly, she was also prone to mishaps from the day of her launch, when she suffered damage as she went into the water, to almost foundering in 1912. Then there was the failed attack on her by U 35 in 1916. Finally, on 5 February 1918, when steaming from Liverpool to Milford Haven to form a convoy and when 15 miles from South Stack, Holyhead, she was sighted by U 101 and hit with a torpedo near the number two hatch on the port side. The ship’s boats were immediately launched, but those lost included the master who was last seen entering his cabin to recover the ship’s papers to throw overboard. The stories of the LEINSTER and MEXICO CITY intertwine through the subsequent fates of the MEXICO CITY’s life boats. One of the lifeboats was picked up at 11.15a.m. the next day by the Leinster. It contained the ship’s Chinese cook and seven Chinese seamen. The surviving crewmembers in the other lifeboats suffered similar if not worse ordeals. The U 101 came alongside one lifeboat to search for officers to question, but the surviving Chief Officer remained hidden in the bottom of the boat until the Chinese sailors managed to drive the submarine away. A boat containing sixteen men was sighted by the ship WAR BRACKEN, but it capsized as it was being made secure to the ship’s side. Only four men out of the sixteen survivors onboard were recovered from the sea and landed at Milford Haven. Another boat containing the MEXICO CITY’s Chinese boson and five other crewmembers landed at Douglas. Whilst it is right that the LEINSTER’s sinking be remembered today, we should also remember the positive contribution she made to saving lives. 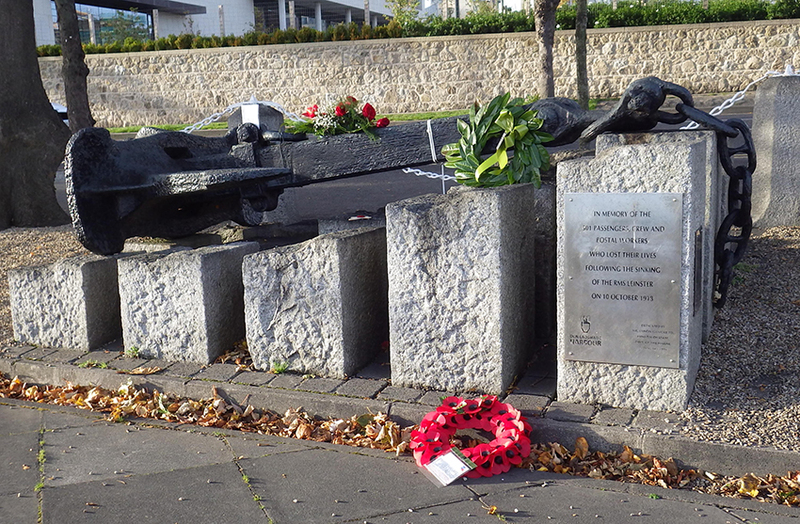 The anchor from the RMS LEINSTER has been installed as a memorial at Dún Laoghaire.